The grand shopping sweep gets its usual festive makeover with garlands of lights down the length of the road. 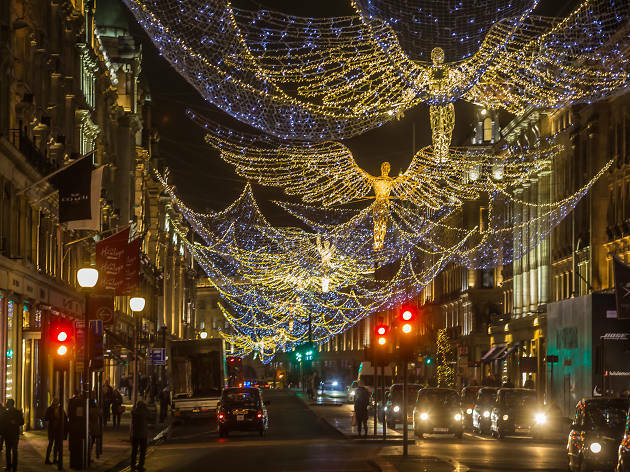 Once again, the display is a throwback to Regent Street's first set of Christmas lights, which went up in 1954. Watch the spirit-like shapes spring into life at the 2018 switch-on taking place on Thu Nov 15 between 5.30pm-6.30pm. Celeb guests will be announced in the coming weeks. Ok, so they've changed the film they are advertising, but the 12 days of Christmas lights are exactly the same as last year. Not just similar, identical. Totally unimpressed. Good fun. Emma and Mel sounded great, as did all the guests. The fireworks and lights were spectacular when they eventually worked! Its always a shame though that only the first few rows get to see anything.......build the stage higher next year! Got there at 6:30 and we couldn't even get through the barriers! There was a HUGE amount of space left with only a select few being able to pass. Absolute waste of time and a MASSIVE disappointment! (N) Also the "fireworks' were little more than party poppers and the screens on which you watch the show on were too small and the sound was almost muted! Never bothering to go there again. So disappointed with this event! Me and my partner took time off work to spend the day in London to watch the Christmas lights switch on for the first time, we we're shopping around London for most of the day and 2 hours before the switch on we headed to regent street and we were told from all of the stewards exit only! They were not allowing any more people in and had blocked off every entrance to regent street! So we had no choice but to go home very disappointed along with a lot of other people. It was not organised well at all as all the stewards we're telling different people different entrances and it turned out all of them we're exit only. 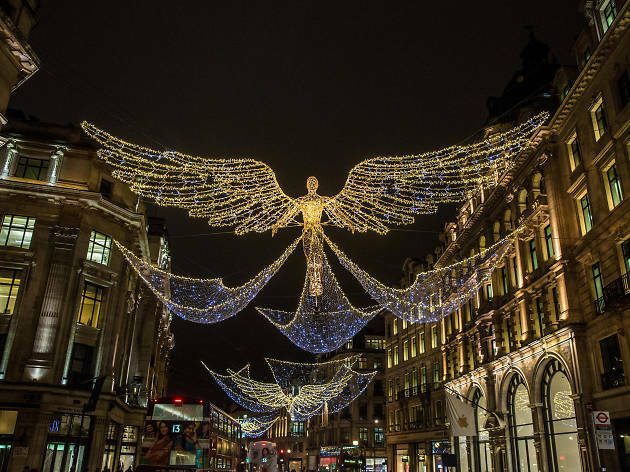 Love the Regents lights, love the angels. Love the lights. 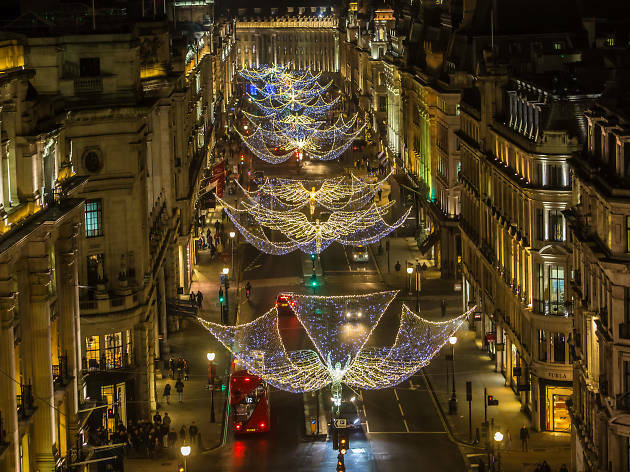 London is the best city and we know how to do our Christmas lights! Beautiful to walk through Rengent's Street to take some pictures. They are not the best but still a must see if you are hanging around the area. So, apparently, this year the light-on is at 5pm but the street will be closed to the traffic during the afternoon until 6pm so hopefully there will be space for everyone. Really looking forward to it. Was a great day out and a very special event. My little nephew saw his his first christmas lights was magical. Thank you! Love this day!!! 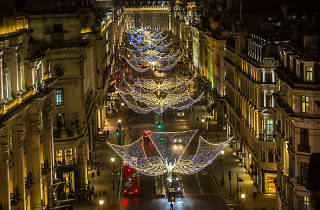 We are local and enjoy Christmas in London!!! Always inviting friends from abroad, Enjoying together!!! Looks like fun. Good article. I'm visiting from NY this weekend and will check it out. Im often in London, so would love to win the theater points! This is very helpful way to find out what's happening around.